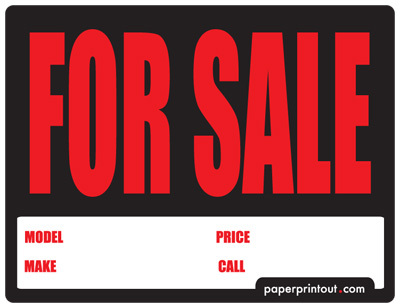 We've go some beautiful top notch car for sale signs for that rust bucket of yours. 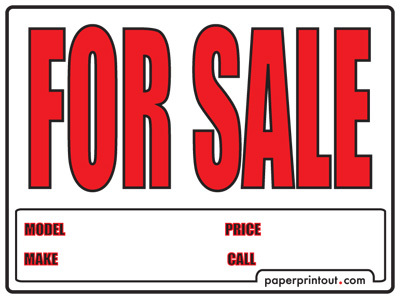 Although, not a guarantee to sell your used car, these car for sale signs and templates will help. 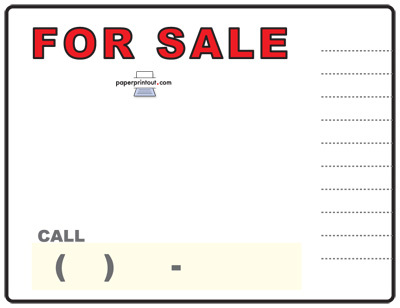 Remember to include your contact information, the mileage, make, model and year. 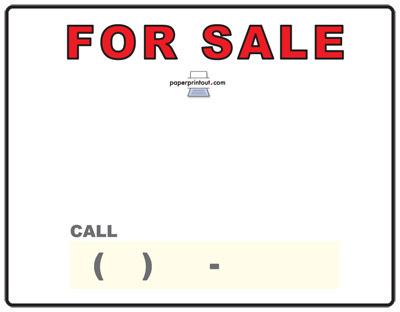 Write the information in large print, make it clear, and hang one free printable car for sale sign in each of the front windows. While your on the net, hop over to Kelly Blue Book and look up your cars value and include it too. Have fun buying your next car and don't forget to read lots of new and used car ratings and reviews. Take lots of test drives before making your next purchase.